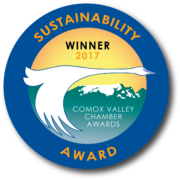 The work being done in the Field Sawmill area is the upgrading of the waterline from Courtenay to Comox along Comox Road by the Comox Valley Regional District. Project Watershed has not commenced any restoration work and we have yet to secure the site which will have to occur before any restoration can begin. 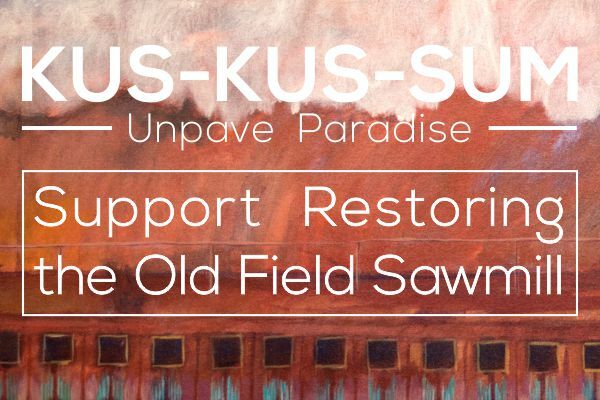 Project Watershed is working towards securing and restoring Kus-kus-sum, the former Field Sawmill site, in the K’ómoks Estuary. If you are unfamiliar with the Field Sawmill the site is the large cement area that runs along Comox Road on the south side of the 17th street bridge, across from Locals Restaurant. The original salt marsh that existed on the site was filled in, paved over, and the foreshore was artificially armored with 440 meters of steel cladded retaining wall. This area acts as a “pinch point” whereby salmon stocks (both out-migrating juveniles and returning spawners) and other fish species are easily trapped and preyed upon by seals. It also provides very little to no habitat for the large number of resident and migratory birds and other species that use the K’ómoks Estuary. Our vision is to secure the property as a park and restore it. Restoration would include removing the cement and any contaminated soils as well as regrading the site so that it slopes down from the highway to the water’s edge. Wetland habitat would be reestablished by revegetating the area with native species, creating flow through channels and detention ponds. The site would also be connected with Hollyhock Marsh so that they can function together to provide important benefits to humans and wildlife. Walkways, viewing platforms and interpretive signage would be added to provide recreational and educational opportunities and could connect to the popular Courtenay Riverway and Airpark Walk. For a better look at this restoration check out the video at the end of this post. One of our first steps towards this goal was to compile the necessary background information and studies, identify information gaps and personnel requirements and meet with the relevant stakeholders and experts leading up to the development of a complete land securement strategy and preliminary restoration prescription for the site. Thanks to BC Hydro’s Fish and Wildlife Compensation Program Project Watershed received $11,015.85 to do just that. Over the past year we have carried out on-site surveys and and ground truthing with Professional Surveyors, Engineers, and Biologist to look at the feasibility of our ideas and create preliminary action plans. We have discussed our plans with City and Regional District Engineers and City Council. We have been, and will continue to be, in communication with Interfor and other stakeholders to investigate the options for securing the property. We will be updating our website on a regular basis about this project so please stay tuned! You can show your support for this vision by posting and tweeting about it using #kuskussum and #keepingitliving. You can also subscribe to our newsletter to get regular updates about this project.